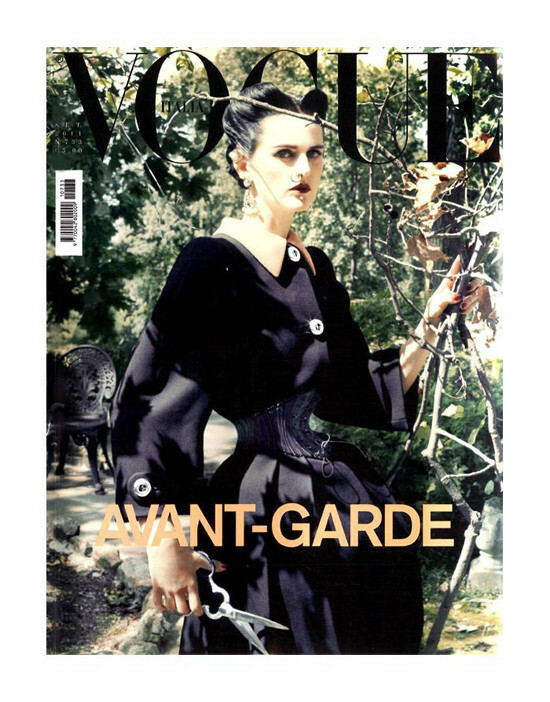 When we posted the startling image of Stella Tennant on Vogue Italia's September cover, we focused on the model's crazy jewelry, most notably her oversize nose ring. But all of you, it seems, were focused on something else: her teeny, tiny corseted waist. "Her waist has been photoshopp­ed into another dimension," commented nermz345. "did you all check out her waist???" asked candyazzbb. "I have bracelets larger than that corset girdle thing," noted mamysmom1. So we chatted with Vogue Italia to set the record straight. While the cover looks extreme, it is because Tennant is channeling a very specific woman with a very unique look. The cover's inspiration, Ethel Granger, had the smallest waist in (recorded) history, measuring a mere 13 inches. And she didn't come by it naturally. Before their marriage Ethel was a plain, unsophisticated twenty-three year old girl who wore the shapeless 1920s dresses that William despised. [...] One epochal day, when William put his arm around Ethel’s waist she asked “darling, can you feel any difference?”. He could: a pair of corsets that tied Ethel into 24 inches, more or less her natural waist line. 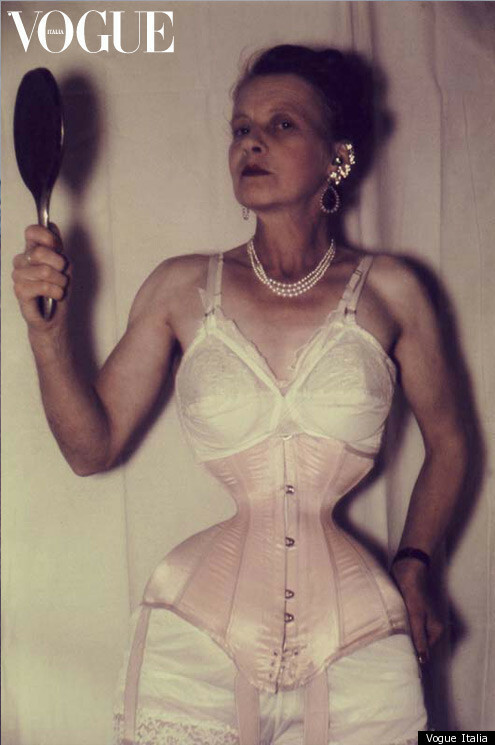 The process of Ethel’s waist modification began. Initially Ethel was satisfied with wearing a corset only during the day, but William convinced her to keep it on while sleeping. After years of corsets, Ethel finally achieved a Guinness Book of World Records-worthy 13-inch waist, as well as a signature look involving a variety of facial piercings. We have an exclusive pic below, as well as more on Vogue Italia's website. Check out the real Ethel Granger and Stella Tennant's reenactment below and go to Vogue.it to see more.